SafeSip kindly sent us at PaigeLouxox a set of SafeSip covers for us to try out. SafeSip is a Revolutionary invention that Fits any Drinking Vessel Preventing and stopping spills. Safe Sip is suitable for everyone, from children on the go to the elderly that need the added security helping keep their independence. 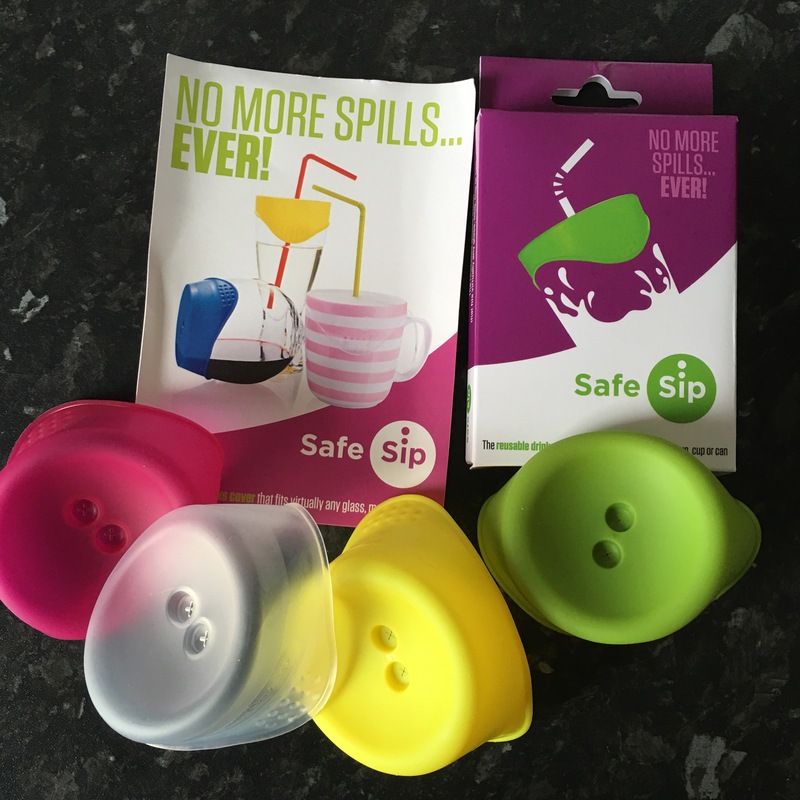 Safe Sip is available in a wide range of colours to suite you and your child’s personality and retails from just £4. Its design is multi functioning in the fact it is dishwasher/Microwave and freezer suitable, making it perfect for use with both Warm and Cold drinks such as an ice-cold water or a warm hot chocolate. SafeSip is designed to fit both single and double handled mugs. It is also one hundred percent BPA free and is made out of Food Grade Silicone. 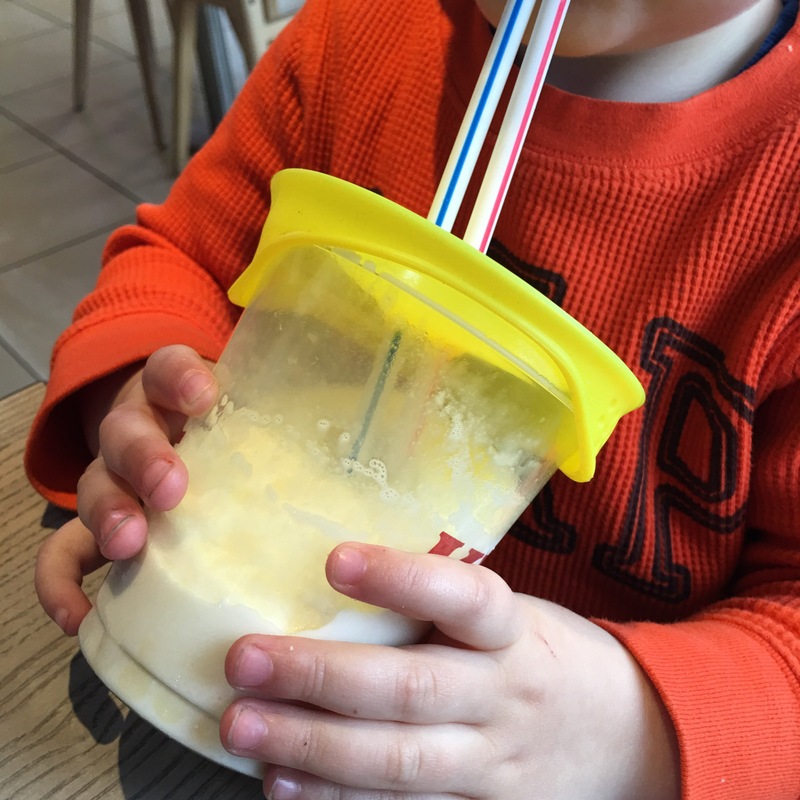 I think this product would be perfect for Jacob in the future to help him drink independently from open mouth cups, as Jacob has Arthrogroposis in his upper limbs his coordination of getting ‘cup to mouth’ is greatly strained but with use of the SafeSip Cover it will again prevent spillage if the cup is dropped. For the purpose of this review I have been trialling it on my elder son Frankie-George just to see how much use a general family could get out of it. What i love about this product is how compact and easy it is just to pop into my bag and take out with us on the go. SafeSip really speaks for itself in how simple but effective the product really is and it honestly does completely stop spills just like it was invented to do. There are two holes on the top of the SafeSip cover, You pop a straw in one and the other acts as a vent so the gases can pass through which enables you to attach fizzy drinks . My only Niggle i have found with using the SafeSip would be the fact that it doesn’t come with portable straws and i have found myself searching the house for some on several occasions; another idea would be to add a SafeSip travel pouch so it stays germ free when it’s in your bag. 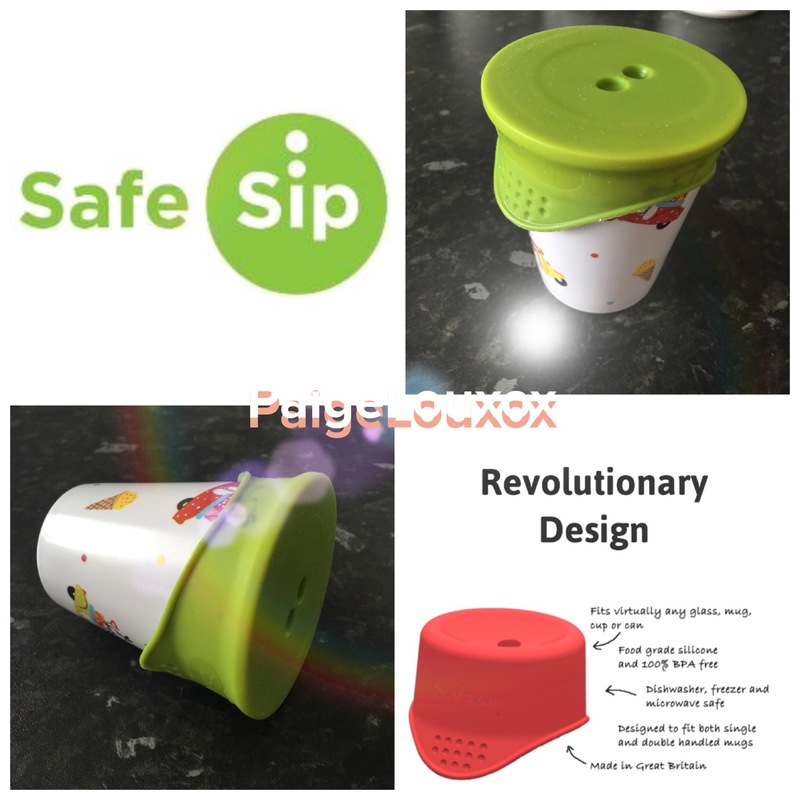 PaigeLouxox defiantly recommends SafeSip to everyone but especially families with young children and for the price I think it should become a staple in every bag or kitchen drawer. They are sold directly from Safe-Sip.com please click on the link to view them. Any questions unanswered then please leave us a comment as always.